Truth calls for faith, and faith makes room for truth. When I write the Embrace Child Spirit newsletters or blog posts, I always start with a quote that expresses the essence of the theme. As I wanted to write about the creation of Nova Earth, which is a turning towards love and planetary awakening, I realized that what this requires is great faith on my part. As I hold this faith that we truly have turned from fear to being the light of love, the Truth of this shines even more brightly and I begin seeing this truth everywhere around the globe. The above quote from A Course of Miracles (ACIM) was perfect for what I’m experiencing. Here in the United States as well as around the world, believing that we are turning towards love requires great faith. If we only go by what we perceive in this illusion of separation, it can feel as if we’ve gone backwards, when it appears that hatred, violence against others and mother earth is greater than ever or at least similar to what it was during the world wars. When asked, I always say that everything unlike love is coming to the surface to be healed into the light. If it stays hidden we remain longer in separation consciousness, which is the ego’s illusion of struggle and suffering. This time I know all the hatred surfacing is for a different purpose. This time it is happening in conjunction with the rebirth of the divine feminine to heal the distorted masculine and feminine energies and bring the reconciliation of these energies within each one of us. This time there are more and more children being born who are more aware and awake to receive and expand God’s love. This time there are enough light workers and wayshowers worldwide opening their hearts to receive the tsunami of the Mother’s love pouring to earth that is dissolving annihilation consciousness and creating the new. 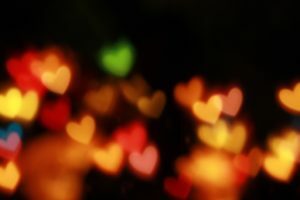 What fuels my faith is the awareness that this turning towards love is coming not only from the ACIM, A Course of Love(ACOL), or Way of Mastery(WOM) communities of which I’m a part, but also from other spiritual paths and religious traditions. This is not an isolated movement; it is global and is being felt in everyone’s heart whether they are consciously aware or not. In ACOL, Jesus teaches that the creation of the new earth and the new elevated Self of form is the process of becoming divinely human or a return to Christ consciousness in the body, one body, one Christ. There is no division between the Higher Self and the elevated Self of form but there is a difference. As we enter into this great turning towards love, it is occurring among the many and being expressed in many different ways. The expression of the embodiment of Christ Consciousness dissolving separation consciousness is coming from multiple sources, spiritual paths and religious traditions. There are many life-giving and life-supporting systems expressing the Holy Mother Holy Father’s love. We are all One expressing the One Truth in a variety of expressions. Some people have gone monumentally astray and are still temporarily lost in the old ego’s thought system of separation from the Source. Yet, as more and more of us open our hearts and become vessels for the Holy Mother Holy Father’s all encompassing love with no opposite, it will dissolve the fear generated from believing the earth has always gone through cycles of war and suffering and always will. I have total faith that the power of love is greater than fear and it only takes some of us to dissolve the hatred for absolutely everyone. I started seeing the phrase “The Great Turning” in many different places. In the Co-Creator’s Handbook 2.0 by Carolyn P. Anderson co-created with Katharine Rosie, they write, “Now at the time of the Great Turning, social pioneers are realizing that we need not walk alone. As Thick Nhat Hahn so eloquently expressed, ‘The next buddha may not be an individual, but an enlightened community. '” This view that change is coming from an enlightened community is also expressed by Diana Butler Bass and Father Richard Rhor. And if you were paying attention at the recent Star Wars movie, the Last Jedi, the force is awakening among the many, among ordinary adults and children. Richard Rohr is a Franciscan Priest and Christian mystic. His teachings remind me that the mystics of any of the traditional religions have always felt the non-duality Truth of God’s love existing in every person. It also helped in dropping a judgment I was carrying that all organized religion perpetuates separation consciousness. So, what is this Truth that comes from great faith? This non-dualistic Truth has been expressed in the earliest spiritual teachings by the mystics of all the great spiritual traditions around the world and continues to be expressed in many different ways today? The difference is that it’s bubbling up from within everyday people who are claiming their innate divinity. We are the many within the One. We are all spiritual beings created from the unconditional love of the Holy Mother. The Truth of our divinity lies within as our direct communion with the Holy Mother Holy Father God. The only true teacher is our Higher Holy Self in unity with God. We exist to be the Love that we are in form, expressing this love in a vast variety of unique ways as the One. We can no longer afford any fleeting thoughts of anger, hatred, fear, or doubt. We are done with the old thought system of separation, we’ve done our inner work and any stray thoughts of fear or anger are just old habits that can easily be let go. It’s now time to fully embrace love, to fully embrace us as love, to fall in love with me and you. We are beyond the spiritual courses, the traditional religions, and the teachers we think are more awakened than we are. Let each of us claim our Divinity, claim our unity with God, claim our unique service as God’s loving, innocent creation, claim our Sovereignty as multi-dimensional Beings. Be the living chalice of the Holy Mother’s Love. Great faith fuels this Truth beyond our understanding. And so it is.